On the 12th of November last year, Philae became the first robot to soft land on a comet nucleus. Its resting place on comet 67P had limited access to sunlight, so it was not able to recharge its batteries and it fell silent on November 15. It was hoped that as the comet approached the Sun, Philae would receive enough light to allow it to recharge its batteries and wake up. 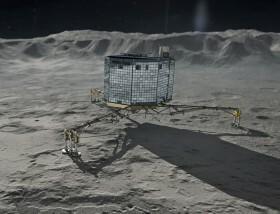 On the 14th of June ESA announced that they’d had two minutes of communication with Philae. The robot reported that it’s feeling fine and has been awake for a while now, trying to reach Earth though Rosetta which is orbiting the comet. ESA is hoping to schedule more communication time with Philae over the next week. 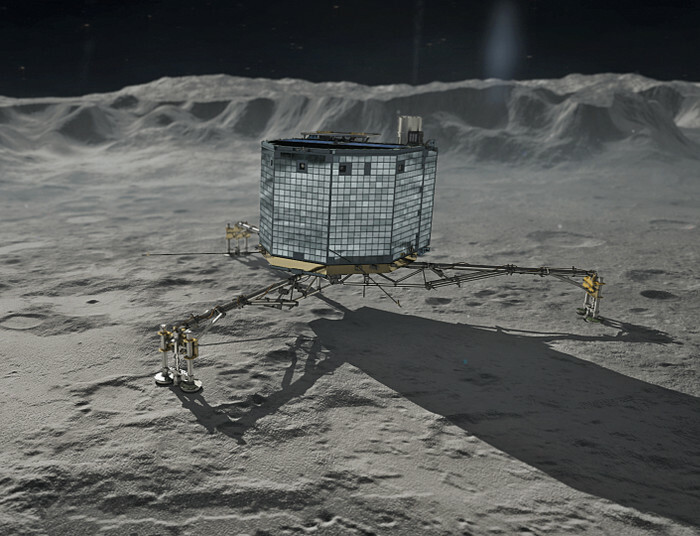 If everything goes to plan, Philae could resume its science mission in late June. In other little-robots-that-could news, the Planetary Society’s light sail cube-sat fell silent repeatedly after being delivered to orbit by the secretive X-37 spaceplane. The spacecraft was finally able to deploy its proof-of-concept solar sail and complete its mission, but fell back to Earth a few hours after Philae phoned home. This success paves the way for a second cube-sat to be launched into a higher orbit where it is hoped to demonstrate the feasibility of using a light sail for sending other small payloads throughout the solar system. Of course, they’ll need to figure why they had so much trouble keeping contact with the first cube-sat before the next one goes up. Will LSST Solve the Mysteries of Dark Matter and Dark Energy? How much money would it take to launch enterprise into space?